Links are important because they tell search engines such as Google that your Website is important. They are like a vote of confidence. The search engines are trying to provide the most relevant Websites in the top search results when someone types in a search query. Whilst there are other factors involved in determining the relevance of a Website to a search query, the fact that there are links to a Website help it appear higher in the search results. There are many ways of getting links to your site, but beware that not all links will help you and some can even harm your site. The best way to get links is to provide something useful or interesting that people would naturally want to tell others about. This means having well written copy on your site, useful information, something funny, a good deal or anything else that people would want to link to. It may help to think about what you yourself link to when you are on the internet and why you feel it is link-worthy. Another way to get links is to link to a site in return for a link back from theirs. This is called reciprocal linking. Ideally you would only link to a site that is useful to anyone visiting your site. Reciprocal linking isn't the best way to improve your search engine rankings because the links cancel each other out to a degree. A quality reciprocal link will not harm your site though and will provide your visitors with a useful external site which they will probably appreciate. One thing to avoid with links is using a link farm. A link farm is a company that will go out get you many one-way links to your sites but from low quality, unrelated Websites. Search engines will notice this spike in the pattern of linking and know that it is unnatural, penalising your site by moving it down the rankings or even removing it from the listings completely. The search engines do this because they are striving to return the most relevant results for a search query. If a site has paid for many links then this is an attempt to manipulate the search results. Some sites will have many links to them anyway, such as the BBC, but this is because of their quality content and the many sites that want to link to them. Their many links will look natural to the search engines because they haven't suddenly appeared – their linking pattern will be consistent. Links are an important factor in determining how high your Website will appear in the search engines. 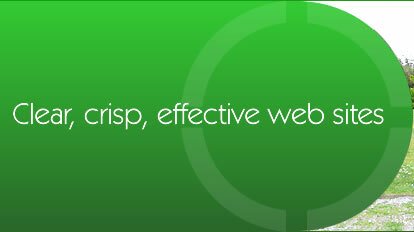 For this reason, they are a focus for many webmasters and companies with an online presence. The way you go about getting links is crucial to whether your site is shown in the top few search results, which in turn will affect how many visitors you get, so ensure that you go about it in the right way to keep your visitors and the search engines happy.